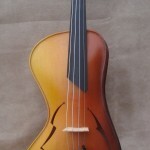 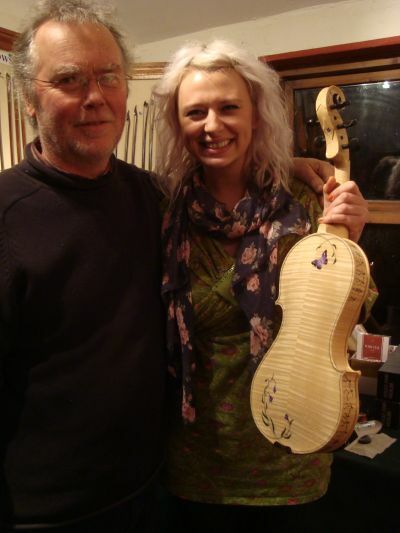 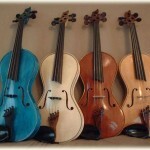 I’ve made lots of 5 string violins now, mostly going down to a ‘C’ on the bottom. 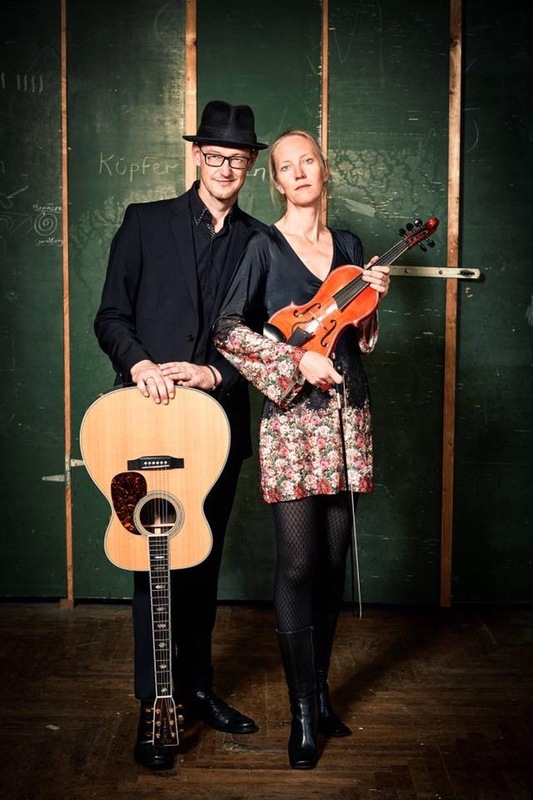 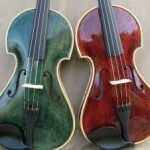 So they are tuned to cover violin and viola in one instrument. 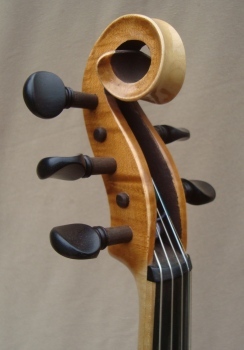 Body dimensions and thicknesses are adapted to suit 5 strings. 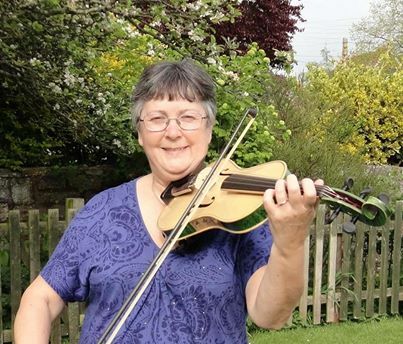 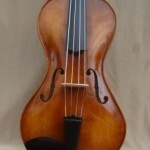 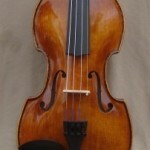 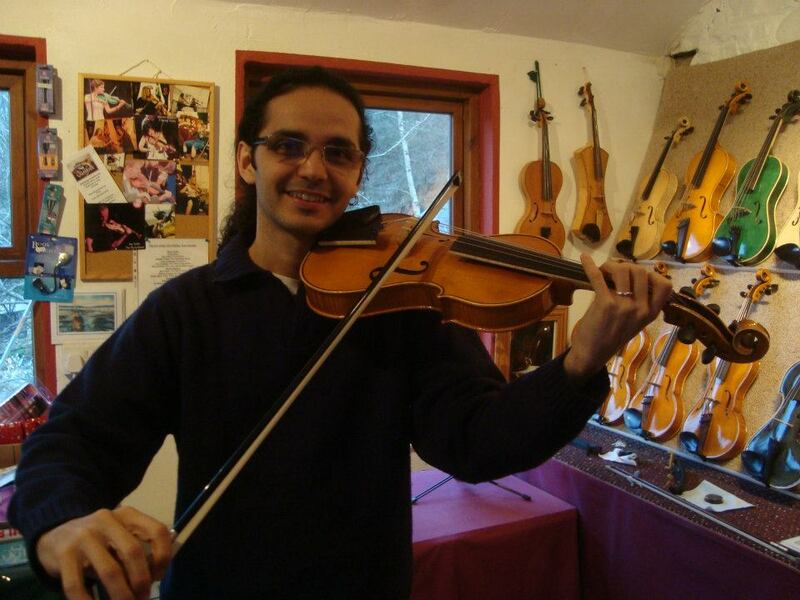 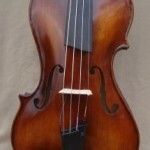 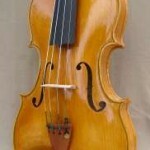 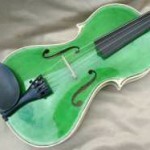 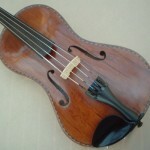 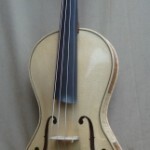 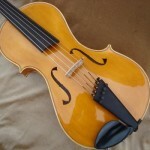 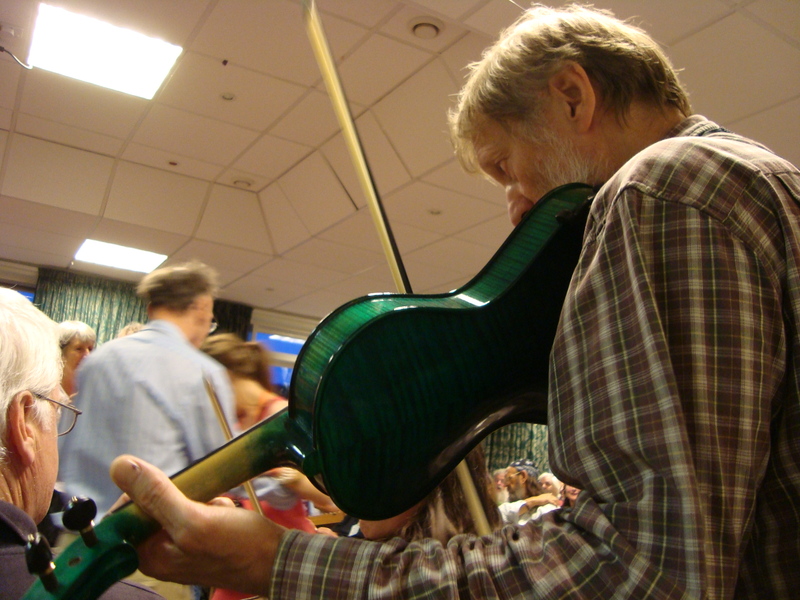 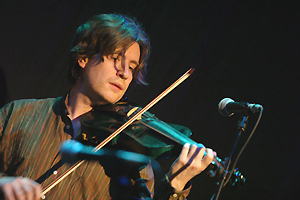 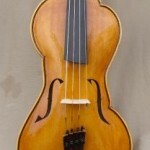 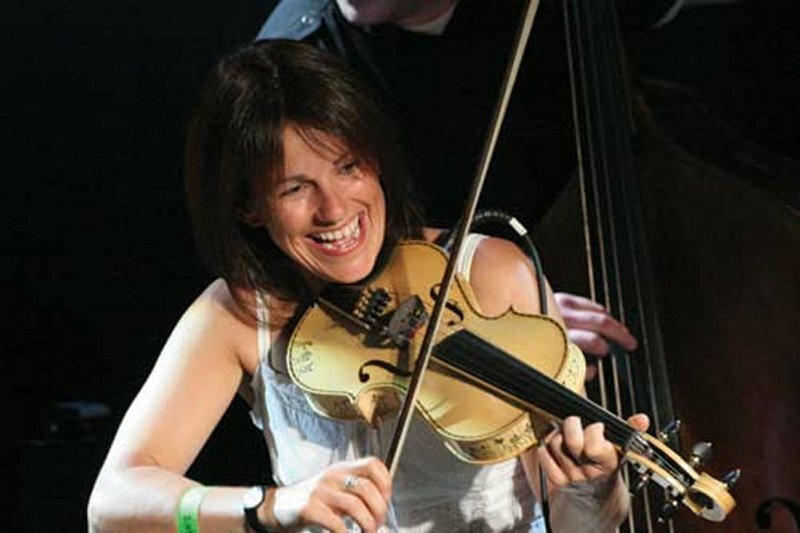 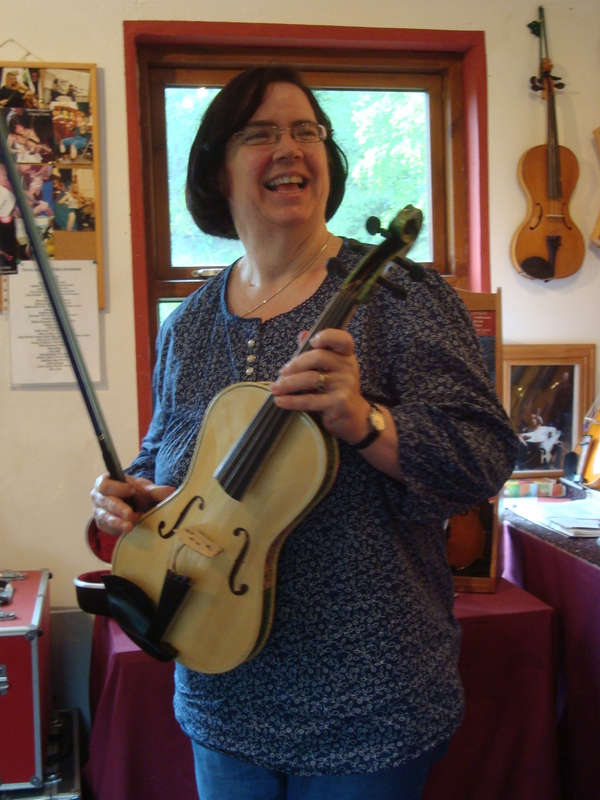 String length is the same as normal violin. 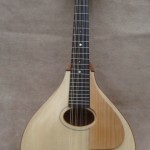 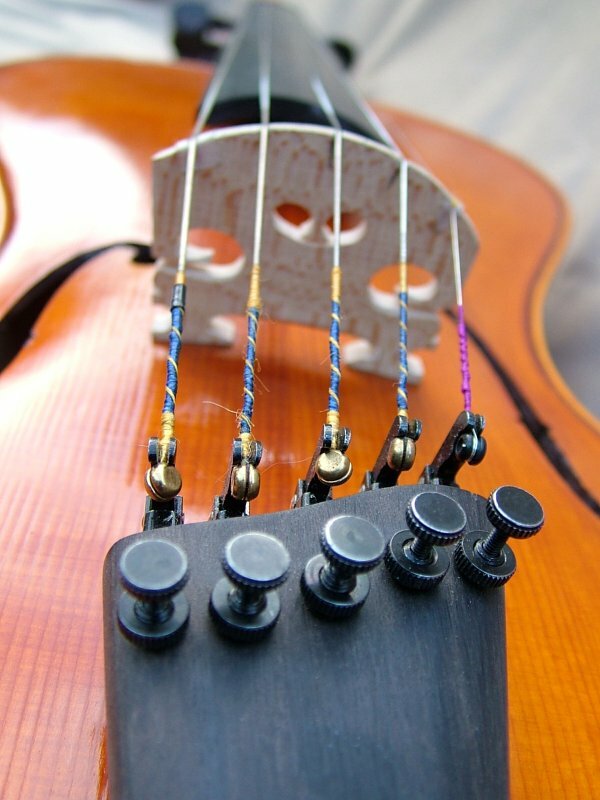 The neck is a touch wider of course, and I keep the string widths the same as normal too with the use of a suitably sized bridge. 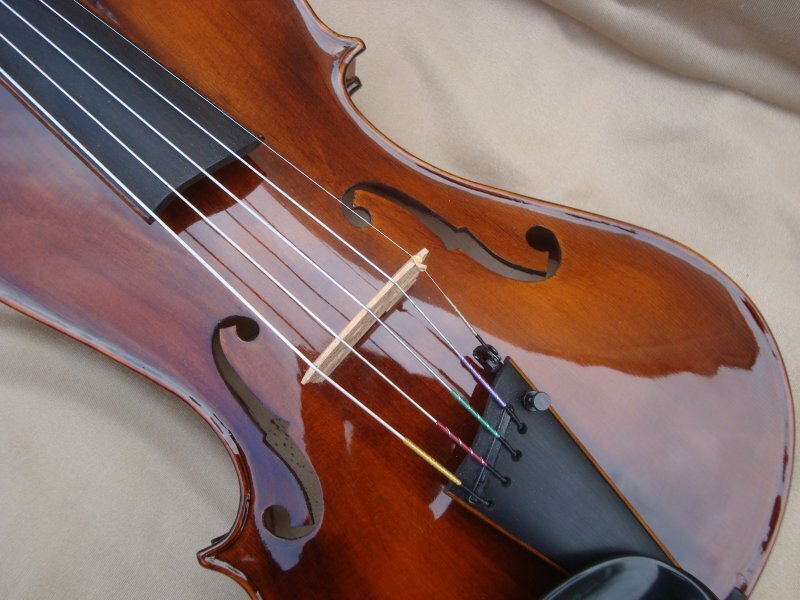 This avoids crunching the strings up together and overpowering a regular violin bridge which most makers seem to feel is appropriate. 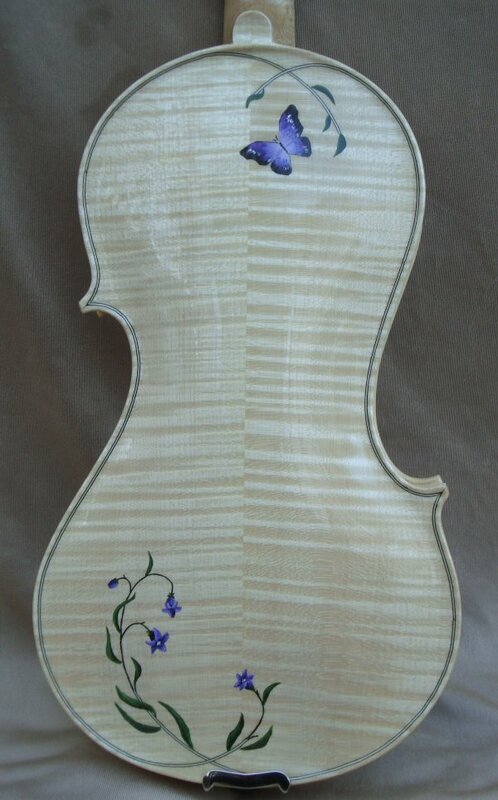 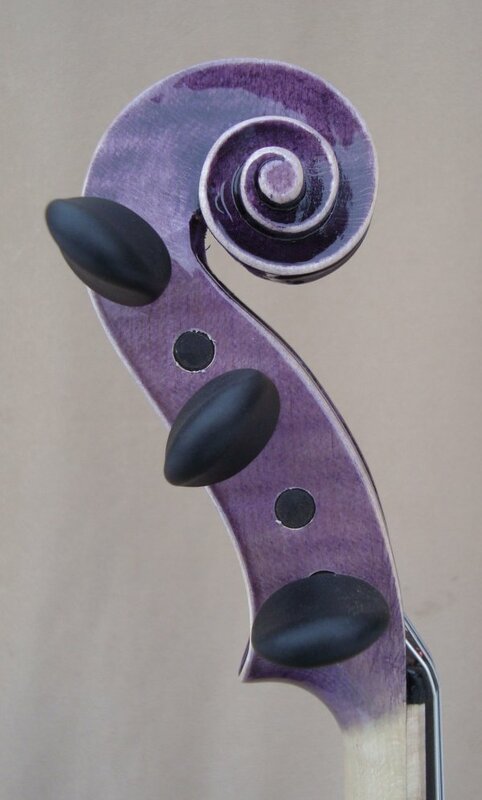 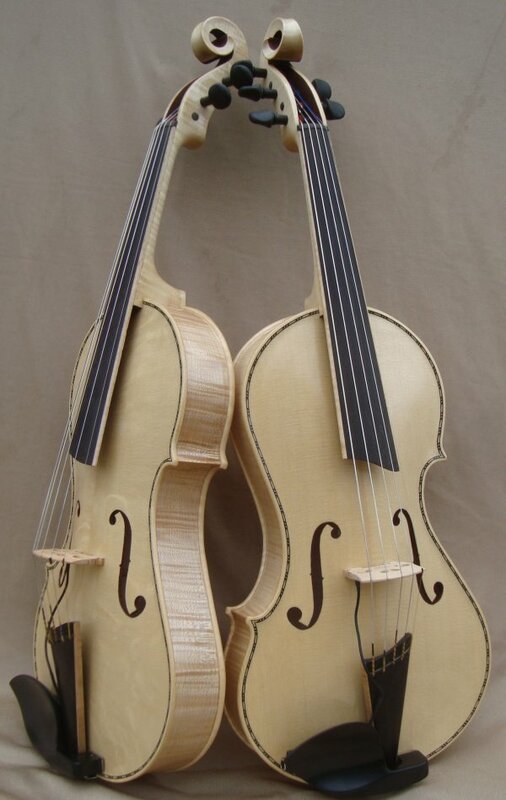 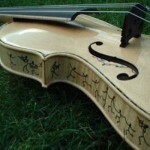 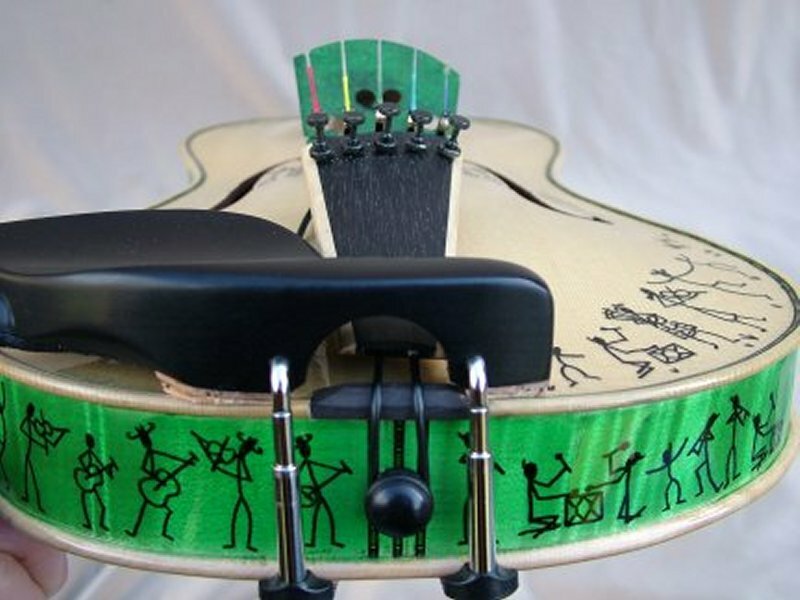 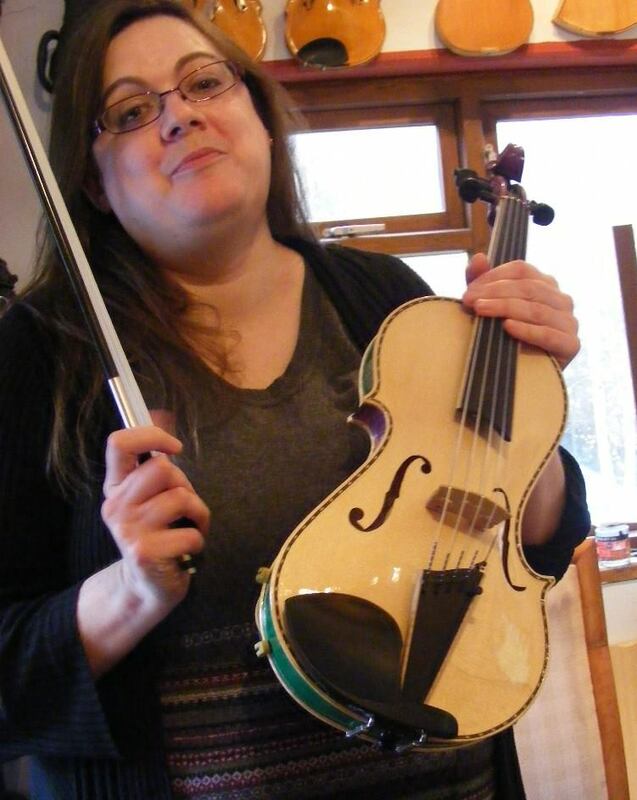 They can be based on any of my violin designs but the sound does vary according to the shape .